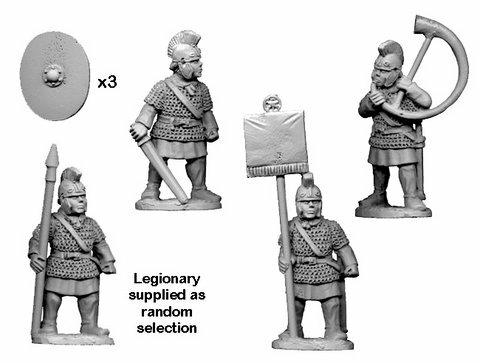 Late Roman Legionary in mail Command. These figures represent the legionaries who defended Rome in her last days, 307AD to 425AD. Figures are 28mm sized, made of metal and supplied unpainted.